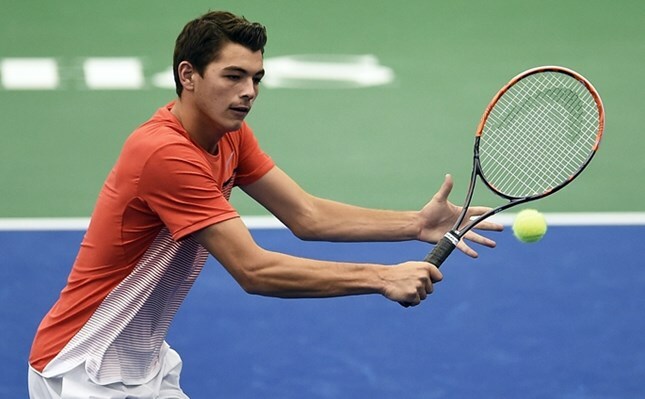 2016 has already been a career year for the rising ATP #Next Gen star Taylor Fritz. After finishing the 2015 season as the No. 1 ranked junior in the world for the first time since Donald Young in 2005, Fritz became an instant threat on the ATP World Tour, jumping from No. 1141 to No. 81, after winning his first Challenger titles in Sacramento and Fairfield, all before making a run to his first career ATP final in Memphis. “Ghosts of Grand Slams Past” haunted Fritz throughout his junior career with the 18-year old able to reach the quarterfinals or better at all four junior grand slams before finally capturing the US Open title as his last act as a junior. Now comfortably within the Top 100, the young American aims to crack the Top 50 or better, starting with his first appearance in Atlanta.